There is a distinction of being a pioneer that Shofiul Alam, an amiable individual in his early 30’s, can always attest to. He is the founder and CEO of the first online marketplace for freelancers in Bangladesh. His initiative has allowed thousands of freelancers including designers, writers or IT professionals the platform to work and serve international clients with expediency. Shofiul wants skilled and talented people from Bangladesh to play a productive part in the 18 billion dollar global freelancer market. To this end, Belancer has been able to attained considerable success within a seemingly short period of time. Fintech team recently went to his office and had a candid conversation. During the hour long session, the young turk sheded light on various issues like his online market place, leadership of BASIS, problems IT entrepreneurs face, venture capital in Bangladesh as well as the IT export target of 5 billion dollars. Here is an excerpt from the conversation. FINTECH: Tell us little bit about your background? I sat for my SSC examination from Mymensingh Zila School in 1999 and then completed HSC from Mymensingh Cantonment Public College. I graduated in computer science from Daffodil International University. Afterwards, I enrolled at University of Dhaka for the MBA program but had to drop out. In the meanwhile I was doing jobs in Bangladesh and abroad. I went to Bahrain and worked there as a business development professional. I didn’t stay in Bahrain for a long period. When I was there, I once prepared a presentation for a Bahraini company. Since the company was working in the mobile financial service sector and remittance, I tried to convince them to invest in Bangladesh. It was back in 2010, my plan was to introduce automation in country’s banks. It was at that time when bKash was about to launch and they formally entered the market in 2011. The Bahraini company agreed to come to Bangladesh and they signed an agreement with the Postal Service. But unfortunately, the plan got caught up in the bureaucratic tangle and the venture wasn’t successful. Then I was part of the first company to introduce the e-traffic solution to the Dhaka Metropolitan Police. I was also involved with a business that provided SMS and IVR services working with Channel 24 and ATN News. I also did a project with RPCF, Remittances & Payments Challenges Fund and used to write extensively for financial services like Paypal. Later I became the country head for one of the public limited companies based in Canada called First Global Data. The company’s remittance service is known as First Global Money. We launched a trans-border product of mobile remittance in collaboration with Bangladesh Commerce Bank. Our target was to connect all the exchange houses in Bangladesh, all 350 of them with all the banks that operate in the country. Our idea was to assimilate the remittance exchange houses with all the financial institutions in order to create a network. That network would facilitate door step disbursement at the end-point like bKash or some other financial services. The venture was partially successful. So you can say it was quite a diverse journey. I must admit that I am yet to become an entrepreneur, and still learning after eight years but I have settled down with Belancer. FINTECH: You have become a CEO at such a tender age. How you have made that possible? There is a motivation to do something in everyone, especially in someone who wants to become an entrepreneur after quitting a lucrative job. I consider myself as an entrepreneur because I realize the hazards of taking risks and the need of sustaining through the struggling time. By keeping all those in mind, I started Belancer. Belancer is the first online sourcing marketplace and currently has 35,000 workers and 4,800 plus clients. It is like a portal that connects employers with professionals. Say you are good in article writing and set up a profile in Belancer. Now suppose I need a writer and place an ad in Belancer for hiring a writer. Your profile will pop up in my window. I will place a bid to hire you and if that matches your price, you will get the job. Belancer is a hundred percent pre-fund system, and we provide the escrow fund protection. When people who are not known to each other want to work in this field, there will always be trust and professional issues to deal with. A worker will not get paid until the work is not properly delivered to the client and the client is satisfied with it. There is a rating and review system in place that compels everyone to be professional, the worker as well as the client. We have over 30 offices for Belancer and over 7000 trainees have completed our franchisee training program. The training is designed for the local context. For the freelancing marketplace, we operate an offshore office in USA from where we collect all the work. Those who work get paid through Paypal. So this is how Belancer functions. FINTECH: You have worked very closely with BASIS. Do you think as an organization, BASIS has been able to show strong leadership? The answer is quite complicated. As a member of BASIS, I have an understanding of the industry, the objectives of BASIS, their manifesto and what they intend to do. But I feel that my personal vision is not really aligned with the requirements of a BASIS member. It could be that my vision is not clear. Or BASIS’s vision is not clear for the industry as a whole. The first question I ask: can BASIS solve my problem as a business and trade association? I have to put up with stiff and sometimes unfair competition from international players to get work in large projects for software development with government agencies. I had a bitter experience to deliver this asset management software where I had to face unrealistic demands from the client. In the end it became nearly impossible to meet their requirements. Since BASIS cannot even provide a single representative for any committee, for any software project committee with the government, I would say they have failed to show leadership from their position. The government is the biggest client, not just in Bangladesh but all over the world. When we are dealing with big and powerful clients like the government, BASIS can demonstrate their leadership qualities by bargaining for us. The fact is, you can show the leadership qualities when you think something inclusive for the entire industry, not when you exploit your position for personal gain. Unfortunately, the situation is like this but I must thank you for raising this critical question. BASIS has a vital role to play in achieving that one billion dollar target from software export and in the process develop the entire industry. But somehow BASIS acts like a smart PR firm and is engaged with event management. Instead of seminars and workshops, I need a level playing field to secure work from the government. I need a sound policy for the access to finance. Access to finance is still a major impediment to do any kind of business in Bangladesh. The EF meant for four to five years opened couple of months ago and their conditions are just like a simple loan scheme. There is a huge lack of investment in technology. As a general member, I want BASIS to change their focus from events and workshops to properly contribute to the industry. 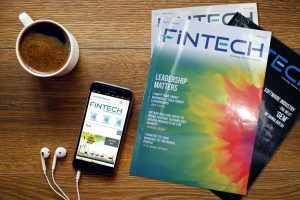 FINTECH: What are the main problems that IT entrepreneurs face? There are many problems in establishing an IT startup for an aspiring entrepreneur in Bangladesh. Idea is not the issue because you can get many ideas from the open information stream in this world now. For the local IT entrepreneur, finding a good co-founder and building up a team is the main issue. The IT sector is moving at a really quick pace and you cannot afford to be slow. You have to take decisions, develop and adapt very quickly. But in comparison with other traditional businesses, the cost is very high. We don’t have co-founder model yet in Bangladesh. I can’t talk about other industry types; but I can certainly tell you for the IT industry why there are not many successful companies. It is because we do not have that trust, that professionalism and the co-founder model. You must have a co-founder especially for a startup company. Without one, you can grow to an extent but not become really big. You need a very good team if you want to excel in the IT sector. Secondly, there are two kinds of IT business, product and service. For service, there is limited scope if I have to be honest with you. You can’t become a huge company by just developing websites. The reality in 2008 or 2010 is totally different to what it is now in 2018. To develop a website, you cannot charge a customer more than hundred or fifty dollars. People were laughing at that time because you don’t even need to pay for it. Sites like web.com have thousands of templates, provide domain and hosting support and you only have to change you logo. I am not talking about enterprise webportal, because that’s a different ball game. The third problem deals with graphic and multimedia. Most of the training institutes of Bangladesh teach us tools. Tools are like pen and paper. If I want to become a poet, I should have intellectual and emotional ability to write something. But if you provide a pen and paper and tell me that I am a poet, just because I can write something, it does not make me a poet. Just because you understand Photoshop and Illustrator, you will not become a graphic designer. You have to nurture the creativity and study the logic behind a design. Learning some tools in five to seven days will not really help you. For the IT entrepreneurship in general, you should have good resources, find a niche and be an expert. The fourth problem is access to finance for the IT entrepreneurs. Apart from Pathao, which is an exceptional case, you will hardly see any investment in IT startups especially for the long-run. While our neighboring country is receiving billions of dollars of investment every year, we are hardly getting 10, 20 or 50 million dollars. It is extremely low and insignificant. The government has created the startup ecosystem but practically it is not that useful. They are yet to start the venture capital firm. From the user’s point of view, our mindset is such that we are not willing to pay for IT services. FINTECH: Why hasn’t the venture capital culture grown in Bangladesh? We have not created the basic IT platform, so it’s not surprising that venture capital culture hasn’t grown in Bangladesh. Take for instance, the example of Paypal. You may ask why Paypal doesn’t come to Bangladesh. It is because we have very low card penetration. In relation to the population, the number of card users is negligible. We need the infrastructure first. For venture capital, we need to create an ecosystem. Certain initiatives taken by the government simply ignored the ground realities that exist. For example the government has invested 5 to 10 thousand crore to create hi-tech parks in the entire country but there are only a handful of IT companies outside Dhaka. There are thousands of companies in Dhaka but the only hi-tech park in the city can serve 15 companies at best. We have built a large infrastructure in Jessore but you can hardly find 10-12 entrepreneurs in that region. So the infrastructure needed for Bangladesh should permit thousands of companies to work in a single location, like the Silicon Valley or Bangalore. The IT city can be built anywhere but you need the infrastructure first. Foreign investors will be interested when they see 10 to 20 thousand people working in a single location. Most of our startup companies are struggling to get even the basic funds. They cannot even convince their family to invest as the family members don’t understand most of the concepts. Without affluent benefactors, many startups die in the fetus. On top of that there is hardly any research on the IT sector. You will be frustrated if you search for any IT content for Bangladesh on Google. How many research papers have actually been published by BASIS and the ICT division? It is a disappointment. People talk big about five billion dollars of export, creating two million jobs but realistically speaking, there is no proper road map. Workshops and training sessions will not attract venture capital into the market. For this end, there is no substitute for strong and effective leadership. FINTECH: How do you think the five billion dollars of IT export is achievable? If you go to academia.edu, you’ll find that I wrote a small research paper on how the five billion dollar target can be achieved. Our government is very proactive and they are determined to achieve that dream but somehow there is a serious lack of our leadership. If we want to achieve that five billion dollar target, then we have to start with “one Bangladesh”, it means all the relevant associations have to work together very closely. We have to create a road map for 5 to 10 years then break it down quarter wise. We must think about what infrastructures and logistics we need, what would be the capacity indicator and what are the realistic components required to achieve that goal. We must be aware of the challenges we will be facing and how to strategically mitigate them. Extensive research will be necessary. We are highly depended on secondary data and we have very few sources of primary data which we can take from the market. In terms of infrastructure, we must have uninterrupted internet availability in Bangladesh. Thankfully, the government is seriously looking into this matter. You have free unlimited package of internet in India and similar facilities around the world as well. Next you have to brand Bangladesh properly. Sri Lanka is a small country but they have achieved one billion dollars of export while we are struggling to reach that amount. Do you know why? They are extremely proficient in back office accounting management and accounting BPO. Their population is around 1-2 crore people but they are performing far better than us because they have focused in building their brand. We are lagging behind countries like Philippines, India, Sri Lanka, Vietnam and even Pakistan because we don’t have a strong brand. We are also not tapping into our resources properly. There are thousands of madrasas in our country where the students can speak Arabic. If we provide IT training to these madrasa students, they can serve the Middle East market. The language barrier does not exist for them yet we are not doing anything about it. India became an economic powerhouse due to the contribution of the non-resident Indians. The NRIs could play a constructive role because they were given opportunities and lucrative jobs by the renowned companies. We need our non-resident Bangladeshis to play a similar role. Has BASIS or ICT division taken any step to attract the NRBs who are working in USA and Europe? We are not reaching out to those who hold white collar jobs abroad. It will be a win-win situation. To achieve that export target, we need to set up the national skill database. It is very important to create a national skill database and national capacity. We have to engage local software companies into government jobs, so they can build a pool of resource. And in terms of product dependency, we have to target the low-skill jobs. Soft-skill training is mandatory for us since it hardly exists in Bangladesh. We can’t even speak properly; we don’t have the manners, the ideology or the ethics. Building language capacity is crucial for us because we have to communicate with foreign clients. We have to learn English because there is no other way. For countries like Japan, China and Germany, they are not depended on English since they have raised their infrastructure to that level. However for countries like Bangladesh, India, Philippines, Vietnam, and Nigeria the scenario is such that they are highly depended on the Western economy. Most of our exports are to Europe and America. Lastly, I would stress on the quality of education. When I researched the CSE syllabus of BUET, NSU, BRAC and Daffodil University, I found they were at least 20 years behind in comparison with other countries. What they are teaching them is garbage and the institutions are creating garbage for this country. FINTECH:What is your opinion of Mobile Financial Services (MFS) in our country? I don’t entirely support the idea that bKash is an out-and-out mobile financial service; they are a domestic money transfer company. They replaced SA Poribohon. Since there is a market, they are focusing on payment services, utility bills etc. But there is this winner-takes-all tendency in the market. I am afraid that bKash could capture the whole market, which is very risky. FINTECH:What will be your advice to new entrepreneurs? There was a time when I was always inspired by young people; I went to thousands of workshops and seminars in my life. Most of the time, I was seriously inspired by people like Steve Jobs, Bill Gates, Mark Zuckerburg. They have the same access of knowledge like we do so why can’t we make it happen? Theoretically and logically speaking, we have the same access to information. If you take a close look at the US and Bangladeshi cultures, you will realize that education and knowledge are not enough to become a successful entrepreneur. If you want to become an IT entrepreneur in Bangladesh, I would say you have to think twice, thrice or ten times. Whereas there are huge opportunities in other sectors since the consumer market in Bangladesh is constantly growing. My true advice is: if you want start as an entrepreneur in any sector, you have to understand that business. I welcome all entrepreneurs but they must not fall into the trap of showing off. If you want to show off, then you should work on your mindset first. And secondly you must find likeminded people, not that they should be your friend. It can be anyone from anywhere but make sure they are likeminded to work as partners. Thirdly, you must be prepared to struggle for at least three years and you have to manage funds for one year upfront to start any company. You should have the full picture of marketing. Marketing is the main thing; you can sell anything by marketing. FINTECH:Lastly, where do you see your company in the next five years? Since we do not have any competition yet, we are the only company in Bangladesh, we are competing with ourselves. Initially, our plan was to bring millions of freelancers but we realized we don’t need that. If we can bring 100,000 active and talented people into our marketplace, we will succeed. We need as much clients as we can so they can provide the jobs for the freelancers.